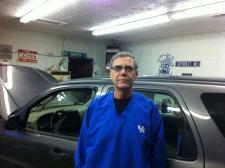 Hello, my name is Kirk Wilburn and I am the proud owner of Fishers Automotive. Please feel free to contact me by phone at (606) 286-6166 or by email at kirkwilburn@windstream.net and I will be happy to answer any questions you may have about our inventory. Thank you for visiting our new website. 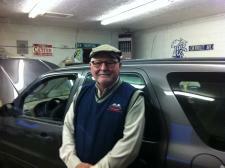 My name is Ronnie and I make sure that we stock dependable and safe vehicles. Please don't hesitate to call me at (606) 286-6166 or email me at rfisher1948@yahoo.com if there is anything I can do to help you with your next purchase or if there is a certain car that you would like me to find for you.